CORELOGIC RP DATA RECENTLY RELEASED a new report that’s available to all real estate agents who are currently subscribed to the CoreLogic service. The report is called a Comparable Sales report and it’s part of CoreLogic’s new Signature Reports platform. As the market leader for property data and insights, you can trust that CoreLogic’s sales data is accurate — it is used, after all, by media companies to generate the auction results they publish online and in their newspapers. The property portals, like realestate.com.au and Domain, however, rely on self-reporting from agents and scraping data from agent websites and other property portals. Furthermore, because many agents choose not to report the final sales price, there is a significant margin for error. CoreLogic, on the other hand, employs its own team of researchers who meticulously collect property data from several primary sources to ensure its accuracy. Yes, there is more information available at realestate.com.au or Domain, for instance, these sites include their suburb profiles, featuring information on demographics, the numbers of buyers looking for property, average days on market, and so forth. If you want that data using the CoreLogic Comparable Sales Report system, it would need to be pulled from those websites and imported into a compatible CRM that allows you to generate reports and brochures. If you’re subscribed to the CoreLogic service, which, let’s face it, most agents today are, then you already have access to their Signature Reports platform. This allows you to generate your own Comparable Sales Report, complete with your own agency logo, agent photograph and contact details. The Comparable Sales Report is a great way for real estate agents to get new listings and stay in touch with homeowners in their database. Virion is a digital agency that specialises in helping sales people, particularly real estate agents, build their online profile using content and digital marketing. This, in turn, helps salespeople grow their databases and obtain new listings. It doesn’t matter how new to the game you are, or how little you know about online marketing, to begin building your online brand, contact our team to discuss which digital marketing options will work for you. Alternatively, to learn more about digital technologies that help real estate agents build an online presence, subscribe to our blog. 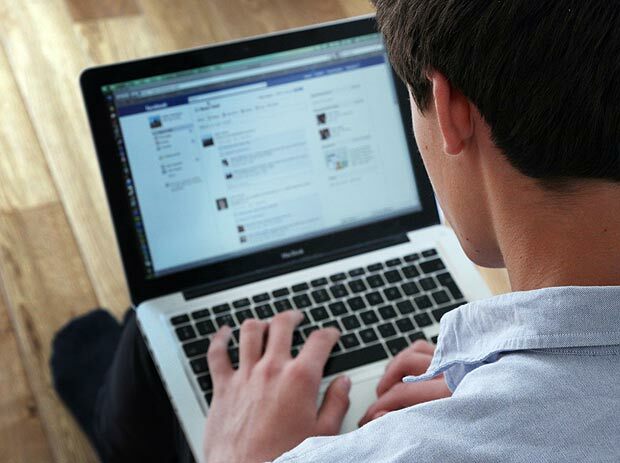 Is Facebook Going to Become the Next Big Thing in Real Estate? What ‘data’ makes Facebook so valuable? As the most successful and most widely-used social media platform in the world, Facebook has amassed a lot of data over its 12 years of existence. That data is what makes Facebook so valuable, but it’s also what guides its business decisions. Facebook knows what emerging trends will be the next big thing, before you could even conceivably call them emerging trends. It’s how they knew to acquire Instagram; to introduce online advertising; expand into news publishing, by developing its Instant Articles service. Facebook is also a major platform for businesses, because of its emphasis on building communities, with whom you can share and discuss information that’s important to you. And all that data Facebook has under its belt, makes it easy to target people not already a part of your community. Indeed, Facebook is also a major focus of nearly every real estate agent we speak to when we’re discussing their digital marketing strategy. Every agent wants to be on Facebook, and given that it’s more popular than… well, to borrow a phrase from John Lennon, Jesus, it makes a lot of sense to be using Facebook as part of your content marketing strategy. But there are a lot of real estate services using Facebook in ways that have the potential to disrupt the real estate model even further than it already has been. All that data Facebook has under its belt, in addition to the sheer volume of people who use Facebook on a daily – if not, multiple times per day — basis, has made it a very useful platform for real estate businesses to create online directory resources that connect buyers and vendors with real estate agents. The American-based HomeASAP service is the number-one real estate agent directory on Facebook, with over 457,000 members in its directory. As a directory that also connects buyers with real estate listings, it has the power to change the way people look for and buy real estate. Although real estate agent directories aren’t new — there are plenty similar services, like followit, Local Agent Finder, Agent Select, etc — HomeASAP is unique because it’s directory is hosted entirely on Facebook. Only buyers, vendors and agents with a Facebook account can access the directory, further evidence that Facebook has, itself, become a search engine in its own right. And because the service is hosted on Facebook, you’re able to capture more data than if a person were to anonymously visit your a website. Could Facebook topple the Big Two property portals? Facebook allows agents to monitor who’s visiting their page, and it also provides them with a casual way of engaging with potential buyers and sellers who may not be ready to speak on the phone yet. This isn’t possible on a property portal — whether it’s an app or website. Sure, you can track them by inserting a line of code into your website, but they’re still anonymous until they give your their contact information. With Facebook, you know who’s visited your Facebook page, and you can make contact with them by making a friend request. Because Facebook also makes it easy to share and disseminate information right from the platform itself, it has the potential to topple the property portals, which currently provides agents with little promotional or marketing opportunities, and likewise provides only very rudimentary statistics about who has viewed their listings. Considering that, second only to Google, Facebook is the world’s most used website and is responsible for generating a quarter of all web traffic, it certainly has the potential to become a powerful player in real estate. If Facebook isn’t already a part of your content marketing strategy, you’re missing out on valuable lead generation opportunities, not to mention potential buyers who may be looking for their next home. Facebook is the ultimate social media platform, and even though it’s an effective platform to build your online profile and market your services to potential buyers and sellers, your success is still entirely dependent on whether you’re using Facebook in the spirit in which it is intended — a social network to connect with people and share information that matters to you, with the emphasis being on the word ‘social’. To be social means to have a free flow of information that people will engage with, comment on and share within their own, wider social network. If you want to keep people engaging with the information you share with them, you need to create a strategy that starts a conversation and encourages others to continue that conversation. To use Facebook to begin building your online brand, contact our team to discuss which digital marketing options will suit you and your digital marketing goals. 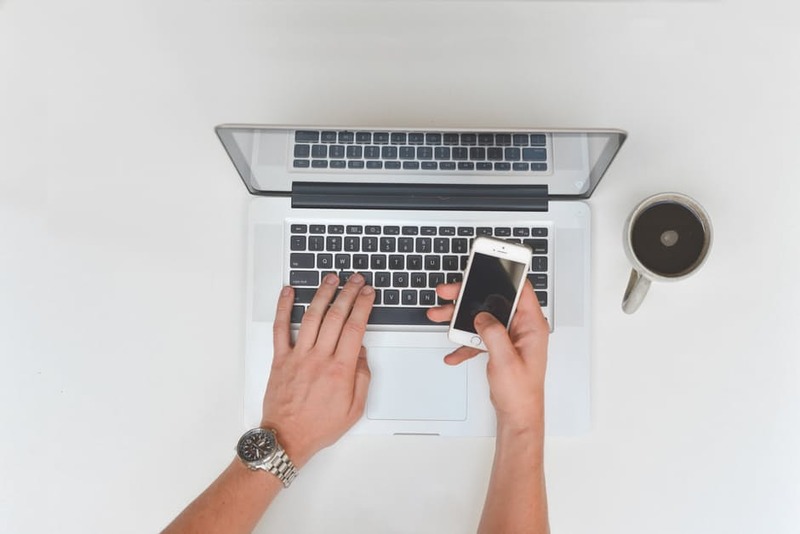 Alternatively, to learn more about digital technologies that help real estate agents build an online presence, subscribe to our blog. Now that property marketing has mostly moved online to property portals like realestate.com.au and Domain, a real estate agent’s ability to leverage their current listings to get new ones has been significantly eroded. This is a trend is set to continue as the real estate model becomes further disrupted by technologies that shift buyer behaviour from searching for properties, to waiting for a notification about one that matches their requirements. These days, if an agent is to build brand awareness from which they can generate new listings, they need to spend time building their profile online, and the best way to do that is to use content marketing. Content marketing involves creating and publishing original and engaging content online. The content you create can be anything, from educational videos to informative blog posts to downloadable guides. But if you want to get really original and really, really engaging, you could even create your own app that you can use to push all sorts of content and notifications directly out to vendors and buyers alike. Apps are where the future of online marketing is going, as more and more people use devices — like smartphones, tablets and even smart watches — rather than desktop computers and laptops to access information online. Applications also improve the user experience, while providing the developer with valuable information not usually available when a person simply browses a mobile version of a website. Developing your own custom app is now increasingly simple, just as creating your own website is, thanks to WordPress and other such content management systems. An app development system like Flok, for example, allows you to easily create your own app — and a beautiful one, at that — and then promote it using social media, email and SMS marketing, with a built-in analytics dashboard to measure its success. Apps work best for businesses with repeat customers, so try to create your app with the goal of encouraging people to use it regularly. For too long, a lot of real estate agents have neglected to build lasting relationships with their buyers and sellers, seeing the sale and purchase of a property as a one-off transaction that’s not likely to come around again anytime in the near future. This was all well and good when people turned to newspapers, shopfront windows, and signboards to find out about a local agent in their local area, but this isn’t how the real estate model works anymore. Agents need to prioritise building lasting relationships online, long before a homeowner has even considered selling their property, so that when they eventually do decide to take this step, there is only one agent they have in mind — you! If you produce content that covers both sides of the real estate process — buying and selling — then you’ll be able to capture the passive buyers that the market has lost since the decline of newspaper advertising. If you haven’t already, reach out to local businesses in your area and build a reciprocal marketing relationship with them. With a service like Flok, you could sponsor a loyalty card for your local cafe by using the loyalty card app to give regular customers of your local cafe a free coffee. Use your branding on the loyalty card app and promote it, both in the cafe, on social media, and through your other marketing. The best part about using an app, rather than a traditional paper loyalty card, is that for as long as the app is installed on a person’s phone, you can send them push notifications. You can also use it to collect email addresses, so you can continue marketing to them. Since everybody loves coffee, the uptake would be relatively swift and it would be used regularly, providing that you don’t use it to spam users with irrelevant marketing messages. Before you can begin using an app to sponsor your local cafe’s loyalty card, you need to create a strategy for capturing user data, determining their interests (i.e., buying, selling, renting), and being able to use content marketing that will cater to those interests. To begin building your online brand, contact our team to discuss which digital marketing options will suit you and your digital marketing goals. Alternatively, to learn more about digital technologies that help real estate agents build an online presence, subscribe to our blog. Real estate agents in Australia are going through a rapidly changing environment for Internet and mobile technology that we have experienced first hand with our websites for real estate agents service and I recently spoke with some successful real estate agents in Sydney Lower North Shore about other areas where they use technology, the agent mentioned Open Homes. The technology I’m talking about is smart phone apps that enable agents to quickly and easily capture potential buyers details who arrive at open homes. Open homes are the critical time where real estate agents are visibly doing work for vendors and it’s an important task that busy real estate agents need to manage very well if they have many home available for sale at any given time. With mobile phone usage exploding it’s little wonder we are using them to do everything these days – and spending less time sleeping! 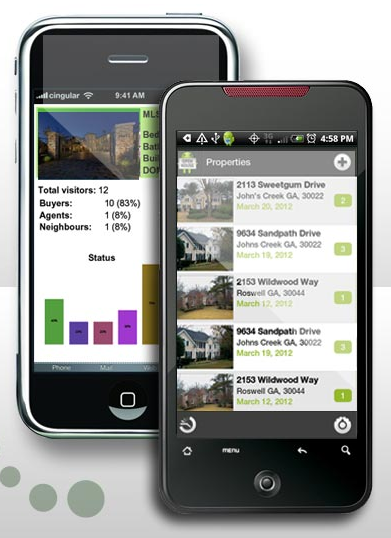 An open home app is also invaluable to collect information that can later be presented to vendors to measure the results of the real estate agents marketing strategy and demonstrate the ROI of any money spent (including agents fees). 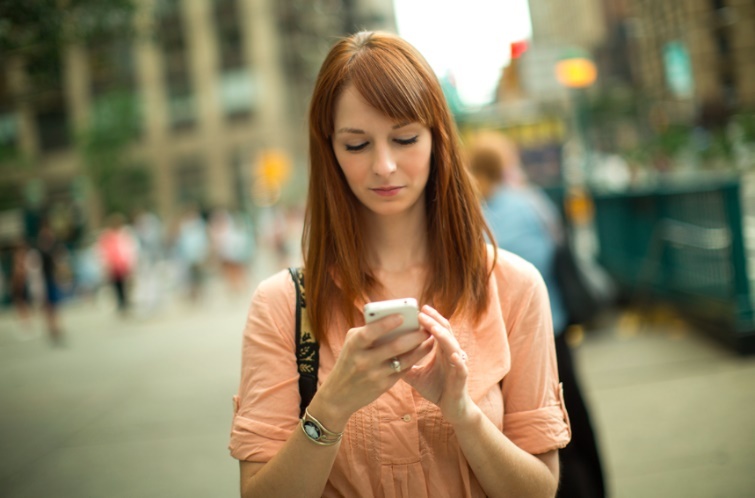 Why should Open House apps be cloud-based? A good digital solution should have the capability of interacting with your current systems and when managing the visitors and follow-up to open homes the most important app is your CRM database because that is where most of your information is stored. The technically correct term for interact is “Integrate” and if you have a capable CRM you’ll be able to use the collected data (email addresses and mobile phone numbers) to keep in touch with all of the people who came to visit so that you remain front of mind. Integrations are the most important aspect to explore when you’re looking into a cloud-based or smart phone app because it enables you to use multiple tools that are all connected together to share information without you having to retype it and retype. They also of course help you completely eliminate the need for printed forms and illegible writing! The best example of integrations we came across was for AM Open Home. This organisation listed almost 2 dozen popular cloud based CRM’s that they integrate with. To give you another example, our sister company EzyLearn offers training for Xero, MYOB and soon Intuit Quickbooks and these popular accounting programs use to compete on features – they now compete on the number of integrations that work with their software in their app market place. Pure Internet based applications like Xero are able to focus on this aspect of their solution and they find that the companies that integrate with are actually passively promoting their software too. virion is a digital agency that aims to help great real estate agents build a great digital profile (see 123ezy.com) and reputation and we advise our clients about the best tools, technology and approaches to use, regardless of platforms.